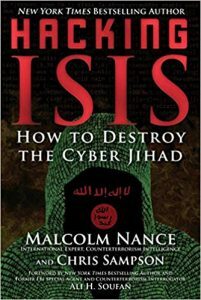 This book b y Malcolm Nance and Chris Sampson, both experts in counterterrorism intelligence, is an absolute must-read. Despite the vast challenges of the task they took on, the authors were able to master a huge quantity of material and offer a good outlook on the history and evolution of cyber jihad. Even in a technical framework, the history of cyber jihad is above all a human story. The authors dedicate a part of their work to summarizing the most prominent figures of the digital jihadi battleground, including Anwar al-Awlaki, famous for his online activity and known as “The Bin Laden of the Internet”, Abu Sayyaf, the mastermind of the Islamic State operatives database, and Junaid Hussein, considered to be the first cyber emir of the self-styled Caliphate. 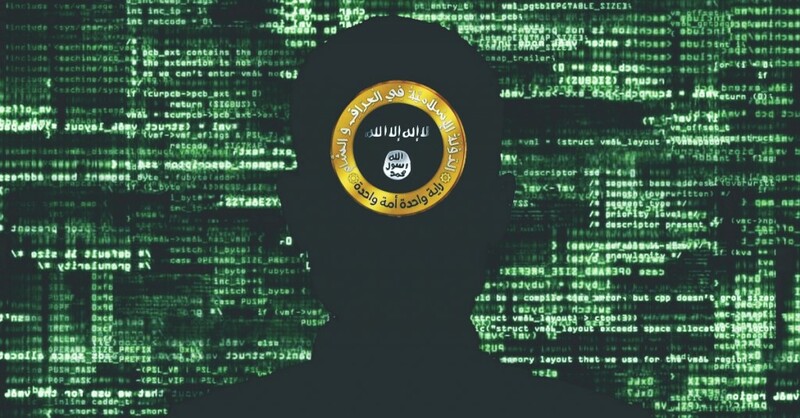 Both al-Qaeda and, more recently, Islamic State have exploited their cyber capabilities in recent years, recognizing the crucial importance of the online battleground for their propaganda operations and also as logistical tool to support strikes against their enemies worldwide. As far as the propaganda machine is concerned, Islamic State has several media arms, each with different aims and organizational structures. Each province (wilaya) has an official media channel, entitled with the province’s name and offering shared official statements, photo reports and videos. The well-known al Hayat Media Center is the media outlet created to communicate with people who do not speak Arabic. It is famous for films such as Flames of War and Inside the Khilafa (caliphate). Al Furqan Media is the official leadership media branch, used by Islamic State’s official spokesmen and the group’s leader Abu Bakr al Baghdadi himself. Alongside the famous official channels, there are the affiliated media such as Amaq News Agency, which covers news on operations carried out by Islamic State worldwide. All these channels and media outlets managed to share their content for years by exploiting various software programs and online sites, both on the surface and deep in the dark web, showing the extreme liquidity and adaptability of cyber jihad. In fact, the efforts of big online companies such as Google, YouTube and Twitter did not stop the proliferation of jihadi propaganda messages. Despite the difficulties, the jihadi cyber branch employed different tools to evade the countermeasures of the big tech companies, including new programs and social media networks such as Telegram, Rocket Chat, Viber and Riot. This continuous propagation of online propaganda, combined with calls by Islamic State to carry out solitary attacks in support of jihad, has increased the threat of the “lone wolf”, with some planning their attacks through social networks such as Telegram. Technology can be a weapon as well as a tool. In late 2016, groups including the Ghost Caliphate Section, Sons of the Caliphate Army, Cyber Caliphate Army and Kalachnikov E-security Team merged into a single group and announced the creation of the UCC – United Cyber Caliphate on Telegram. At present, despite its aggressive foundation statement, this group has limited capabilities to carry out complex strikes and is often limited to relatively simple DDoS attacks. After analyzing jihadi cyber warfare, the authors provde a detailed analysis of the narrative messages of Caliphate media campaigns, focusing on the evolution through different phases of the terrorist group, from al Qaeda in Iraq (AQI) up to today’s Islamic State. Alongside the efforts of Islamic State supporters on the cyber battlefield, the authors also analyze the counterterrorism activities of hacktivists and the academic world, such as the war declared by the famous hacktivist group Anonymous and the attempts by scholars to track and monitor jihadi online activity in order to anticipate its evolution. There is one crucial question, hidden throughout the book until it is made explicit in the final chapter. Scholars, security services and big tech companies have to coordinate their efforts in order to counter the spread of jihadi hate messages in the best way. Recognizing this common aim, is closing and destroying the spaces where the jihadi messages are spread really useful? For example, despite the extensive efforts of the big tech companies to shut down the accounts disseminating hate messages, jihadists and supporters of the cause always manage to find other spaces, better hidden and harder to track for the analysts engaged in the study of this phenomenon. Perhaps the time has come to develop a more effective counter-narrative?